Earlier this week, I posted a column to Fierce Wireless on the topic of LTE-Broadcast. The basic premise was fairly simple. 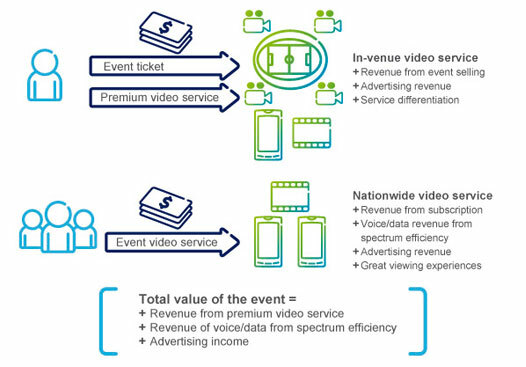 While the business model around broadcast linear television may be suspect (or even dated), the current thinking around LTE-Broadcast is about much more: data services, peak traffic offload, special event content offers. Likewise, if we want operators to be innovative, we must be open to the introduction of new technologies – even if the business models around their deployment are not 100% understood yet. However, I left two key questions out of the column. First, since the concept of broadcast or multicast services over cellular networks isn’t new, what’s going to make LTE-Broadcast different from its predecessor MBMS (broadcast over 3G)? Second, what’s the role of standards here? Luckily, the answer to both is pretty much the same. It’s all about ecosystem support. Of course, from a technical perspective, eMBMS and MBMS are different in various ways – even if both are about delivering broadcast and multicast services over cellular networks. Since the early days of MBMS, more thought has gone into the concept of business models that extend beyond linear television delivery. The big change? More vendors and operators are on board with eMBMS. In a discussion with a LTE-Broadcast vendor last year, the answer was put more bluntly: “MBMS never had major operator support. eMBMS has Verizon driving its commercialization.” It’s going a step too far to say that operator interest is all that matters in turning a standardized technology into a commercial success or that a single operator has the scale or clout to make a technology successful. Yes, you need operators which actually care. But you also need network vendors. You need silicon vendors. You need device vendors. On top of that, you need content players, integrators and support from back office vendors if you want to execute on business models that reach beyond linear TV. This helps to explain the role of standards. Standards are key for engaging the support of everyone in the value chain. They make it simpler for vendors to get on board. They give operators confidence in the ability of the technology to scale. They do not, however, ensure the success of a technology. There’s no shortage of standardized technologies alongside MBMS that never went very far. (Evolved EDGE and GSM 450 are two of my favorites.) While you could dissect their histories, the reality is that a lack of ecosystem – network, device, silicon, operator – support was implicit in each of their deaths. While the success of LTE-Broadcast is far from certain, the ecosystem behind it does seem to be falling into place. That’s a step in the right direction. Previous postNetwork vs. IT: The Right Way to Look at Things? Next postHuawei 2013 Annual Report: Does the Company’s Growth Engine Need Some GAS?